When I began my weight loss journey I knew I’d lose weight because I was committed before ever walking in the doors. I knew I was going to begin exercising again, I knew I’d be tracking my Weight Watchers Smart Points and attending weekly meetings. What I didn’t know is how I would learn to finally appreciate my body, and challenge it more than I ever had. Since joining Weight Watchers in November of 2015, I’ve ran a 10k, zip-lined over the Royal Gorge and now I can add Stand Up Paddle Board Yoga + Fit to the list. I will not be signing up to jump out of a plane anytime soon, or ever, but for me, these are things that took guts. They were out of my comfort zone and something I wouldn’t have done before losing weight. 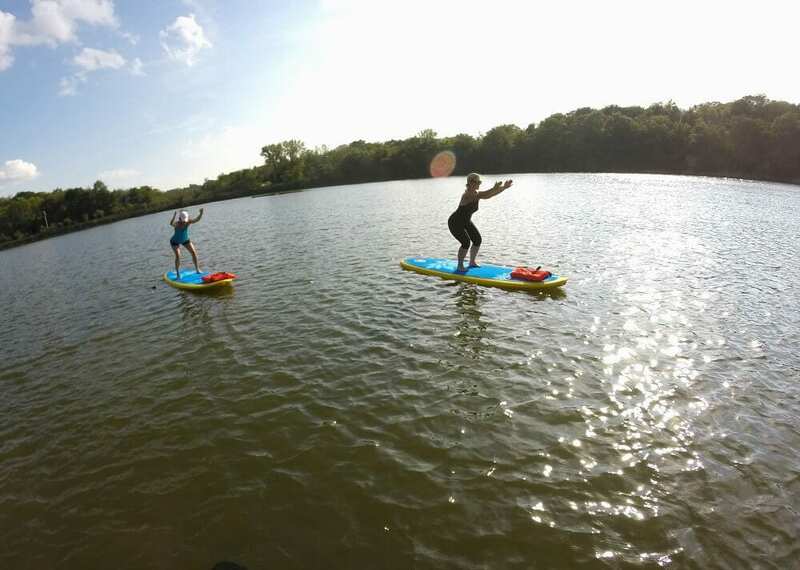 A friend of mine had done Stand Up Paddle (SUP) Board Yoga, so when she asked if I wanted to do a class I jumped at the opportunity. I taught yoga in college, so I love to practice but it’s something I rarely do anymore. I still really enjoy it when I make the time to do it. I love to exercise so any chance I can try something new I’m usually game for. 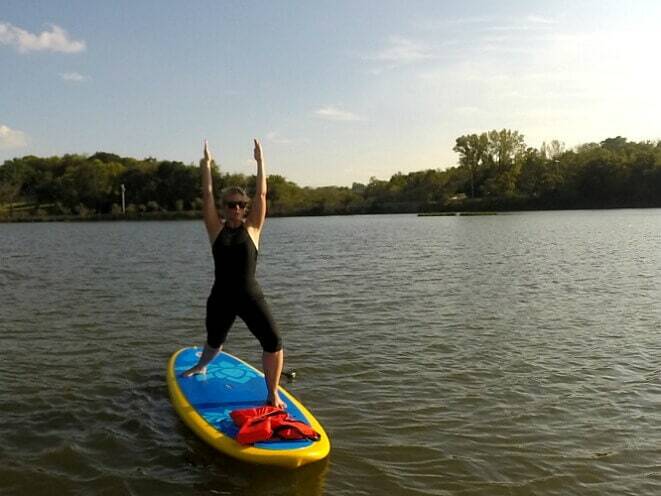 I was a little nervous about this class because I’d never even been on a paddle board, but I was also pretty excited! We went on a Sunday afternoon, in late September. We got super lucky because the weather was actually really warm for Kansas in September. Pulling up and seeing the boards made me a little apprehensive, but I knew once I was on it, I’d have one of those moments that I would feel thankful for the opportunity to even participate in a workout like this. 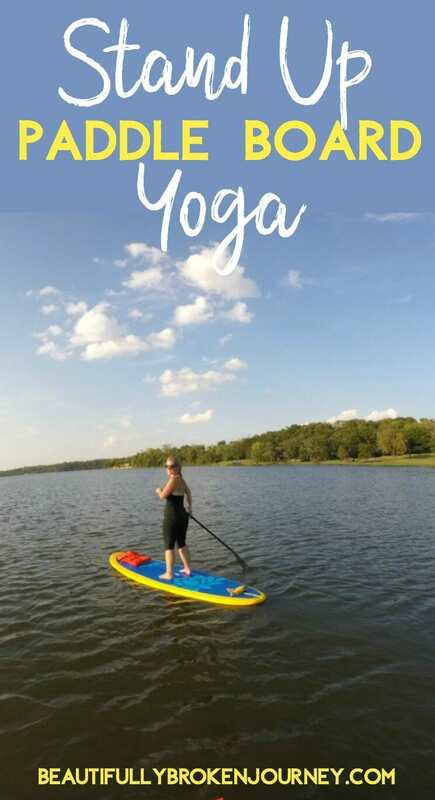 I loved the yoga part of the class and when I take it again, I’ll take a SUP Yoga class without the fitness, it’s just more my style. Laying in Savasana on the paddle board in the middle of the lake with the sun beaming down on me and a breeze blowing over my body… that was magic. As I was paddling back to shore I let tears stream down my cheeks as I thanked God for the opportunity to prove to myself, once again, that I am stronger than I even realize sometimes. I thanked Him for the beauty of the water and the ability to challenge myself and have a great time with friends. I thanked Him for giving me a hunger for exercise and loving the way it makes me feel to move the body He gave me. I’m so thankful for it, even if it is beautifully broken. Two years ago all the activity I was doing was walking, and not much of it. I was recovering from back surgery, not even able to pick up my children, let alone workout. 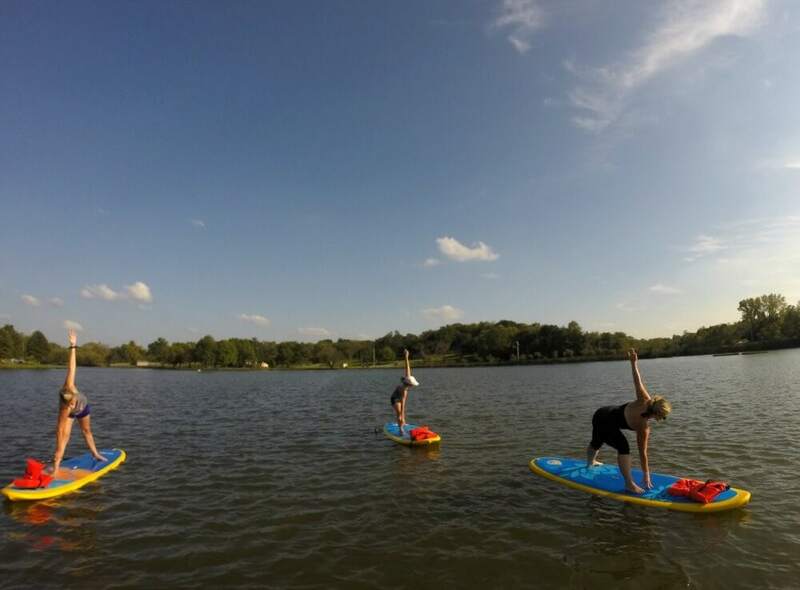 Last week I was standing up on a paddle board doing yoga and burpees in the middle of a lake. Our lives are what we make of them. I could have chosen to stay where I was, but I didn’t. I could have chosen to stay weak, to not challenge my body to become better and stronger… but I didn’t. I made the choice to become stronger than ever and not let my past define my future. When I get to have experiences like this… it makes me so proud of myself for taking that first step. My life would look so different if I hadn’t committed to this journey. I committed to it during the good days, but even more important, I promised myself I couldn’t give up on myself when the bad days came along either. My journey is far from perfect, but what I’ve found is that in challenging my body and mind, I’ve fallen in love with the life I’ve created for myself, and it’s made me really thankful for the circumstances that pushed me to become who I am today. I am still learning, and growing, and failing… that’s life, and that’s what makes it beautiful. 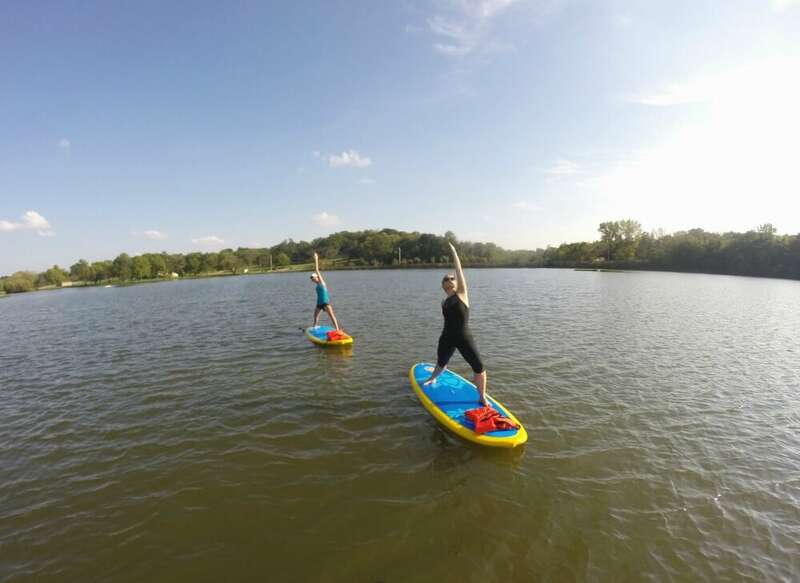 If you have the opportunity to take a Stand Up Paddle Board Yoga class you totally should! It was a blast and I can’t wait to get back out in the water with Mindy next spring! 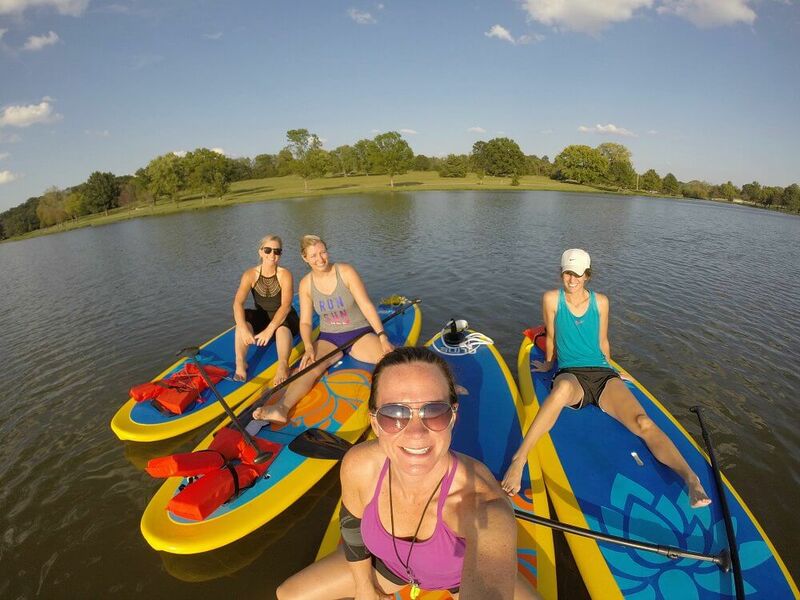 If you are in the Kansas City area, check out Positive Vibes SUP Yoga & Fitness! 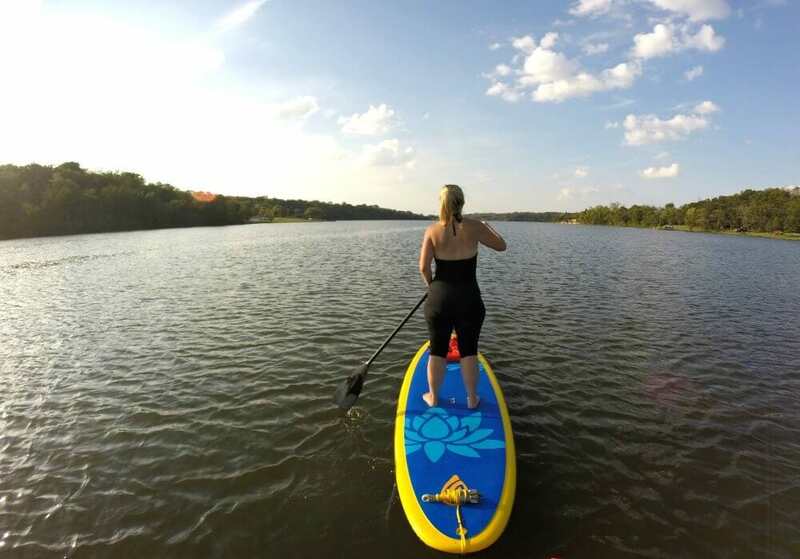 One of the things that I really appreciate about paddleboarding is the fact that it’s such a diverse sport and there are so many different ways to enjoy it. As you mentioned, it’s a great way to get a workout and the beauty of being outside in nature has to be experienced firsthand to truly appreciate. 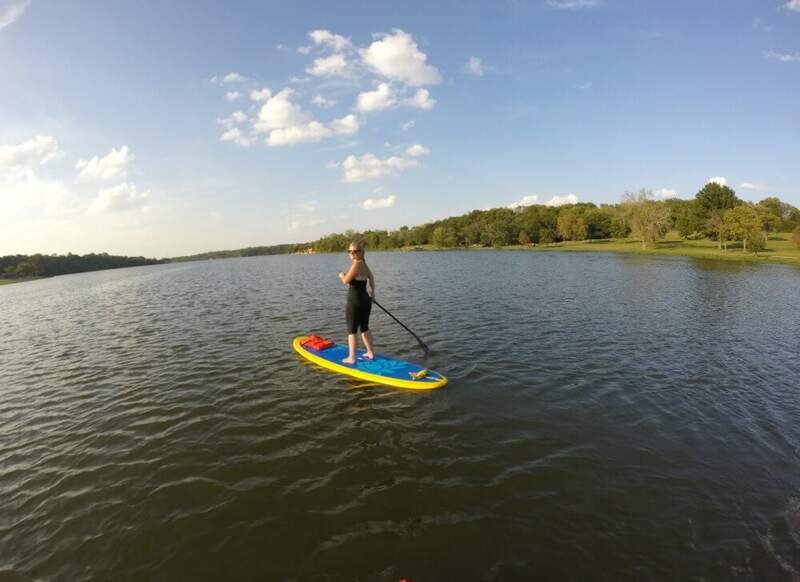 Glad to hear your first paddle was a positive experience and that you’re already planning another outing for next year!